Hi there! 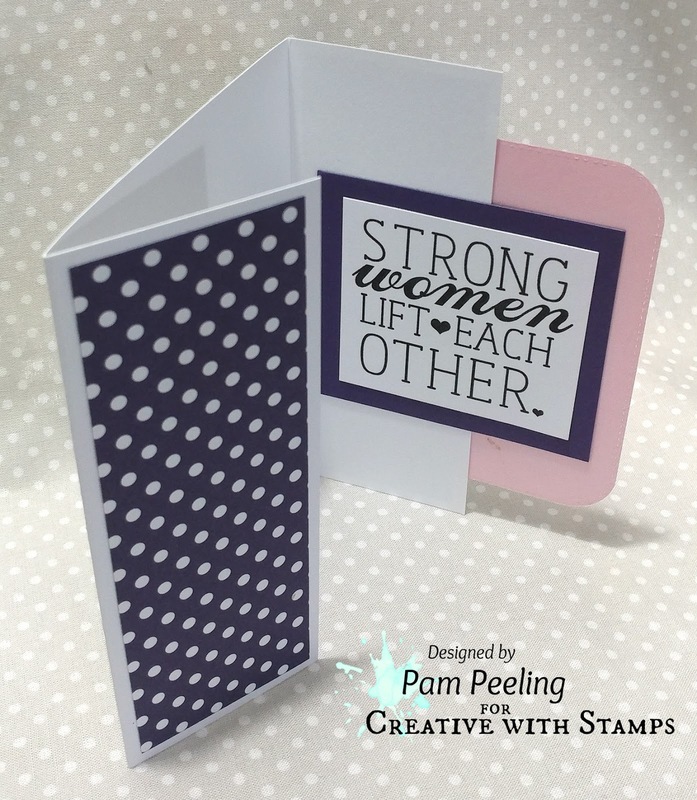 Here's my mid week inspiration card for The Creative with Stamps Challenge Blog # 26 Mother! I used Digi Stamp Lovely Ladies from MHKDesigns. I colored in my Lovely Lady with Copic Markers. I made a gate fold card with the sentiment from the Lovely Ladies set in the inside. 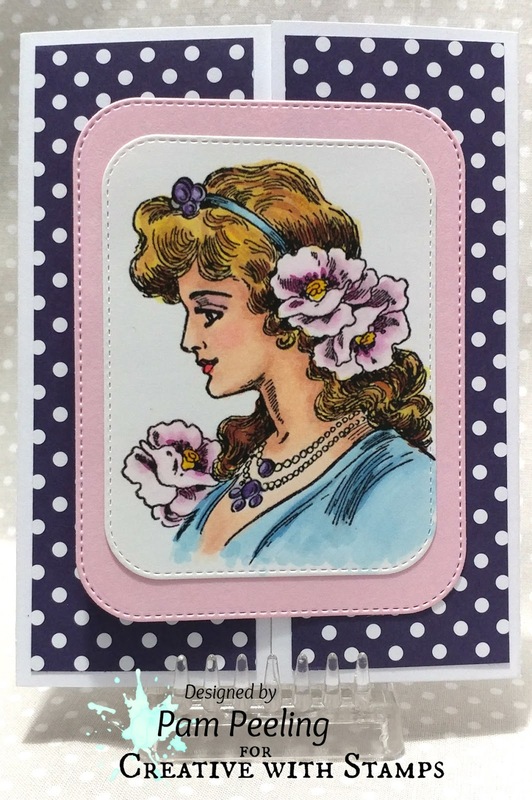 Beautiful card Pam! I love the colors and the sentiment, well done.